We’d love your help. 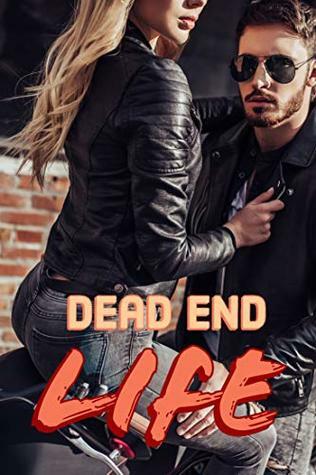 Let us know what’s wrong with this preview of Dead End Life by Zara Rivas. At least it is for Rae Anne Wilkinson who refuses to live a dead end life in her old town. But when she moves to the Big Apple and meets bad boy Landon, and up and coming rockstar things get interesting to say the least. were saying, I thought desperately, hoping I hadn't just embarrassed myself. But as I took in the easy-going look on his face, I knew I was in the clear. He slowly grinned, stuffing his hands into his pocket as he leaned down. Certainly was a lot taller closer up, I couldn't help but think. His shaggy brown hair made him look as if he just woke up and his sleepy chocolate brown eyes reinforced that idea. "You're the deli chick," he said. My mind went blank. I self-consciously tucked my hair behind my ears, nodding idiotically. "Uh, yeah, I guess I am. I eat here an awful lot." His grin grew as he leaned closer to me. His presence was so overwhelming. I looked over at Lisa to see her smirking with delight. "I know. My friends and I usually see you eating all by yourself most days during lunch. We were beginning to think you didn't have any friends, till today that is." To ask other readers questions about Dead End Life, please sign up.